As the internet becomes more evolved, more tools pop up to help each other out and spread information. There are quite a few products out there that make long distance presentations easy, while others can give remote pc assistance. The newest version of TeamViewer starts to combine both of these functions into one package. Not only is it effective, but it is also free and cross-platform, which can’t be said with most other products, especially when it comes to long distance presentations. In order to reap the benefits, you’ll need to head over to TeamViewer’s website and download the latest version. During the installation you’ll have the option of either installing the program or simply running it. I’d recommend that you install it unless you want to use it from your flash drive. Some more information is presented next to each option. To use the free version without restrictions, make sure that you say you’re using TeamViewer for personal / non-commercial use (but be honest if this isn’t really the case). If you chose to see advanced options, you’ll notice the first impressive feature: TeamViewer lets you create a personal VPN using the software. You can select this if you have a use for it. Once the installation completes, the setup wizard will close and TeamViewer will automatically launch. When the TeamViewer window opens, you’ll be first placed into the “Remote Control 3 Tools to Control Your PC from A Distance Using Remote Access 3 Tools to Control Your PC from A Distance Using Remote Access Read More ” tab, which makes up the original functions of TeamViewer. Here you’ll get treated to the same ID and password fields that correspond to your computer, along with ID and password fields that you can enter numbers into to connect to a remote computer. You can also choose between a remote control connection and a file transfer connection, depending on what you’d like to do with the other computer. 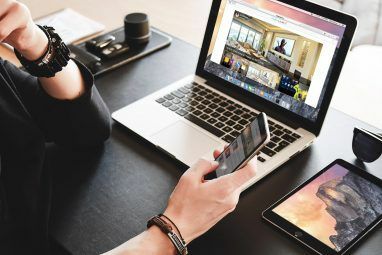 If you move into the second tab, labeled “Meeting The 6 Best Free Online Meeting Tools to Collaborate with Your Team The 6 Best Free Online Meeting Tools to Collaborate with Your Team Small teams don't need expensive enterprise apps for collaboration. Here are six fantastic tools that you can use to manage your team's data, communication, and more. For free. Read More “, you’ll find TeamViewer’s new features. In this tab, you can start your own instant meeting or connect to an existing meeting. If you decide to sign up for an account with TeamViewer, you’ll get a few more features, such as a list of past meetings under “My Meetings”, the ability to schedule a meeting in advance, as well as the feature to add computers and contacts to keep track of who’s online and who isn’t. The menus also offer some more functionality to make your remote connections, file transfers, and meetings easier. 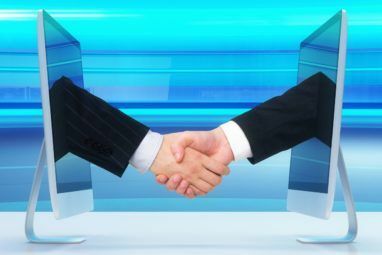 Under the Connection menu, you can invite a partner (by sending them an email that’ll help them install TeamViewer), as well as set up unattended access which lets people access the computer without you having to OK the connection. The Extras menu lets you access program options, play recorded sessions, open log files, and more. The Help menu lets you access helpful information for and about the program. You can also check for upgrades right from the menu. The Feedback button gives you a pre-written email where you can add some information for feedback. TeamViewer is a great tool to do a lot of things with other people. 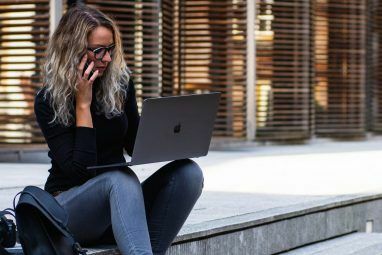 While remote aid, file transfers, and meetings are the intended purposes for TeamViewer, users can take the program and use it in all sorts of ways for their own benefit. However, the fact that this whole package is offered for free (for personal use) is quite amazing and should be much appreciated. What is your favorite remote pc assistance software? After reading this article, is TeamViewer or your original choice better? Let us know in the comments! Actually LMI just released their mobile app (Ignition) for free on iOS. Before it had cost $30. Nice article. I've always favored TV for remotely supporting friends and family. It is really easy to use and the free software has the same functionality as the business edition. The business license was pretty expensive ~$800 so I started using ScreenConnect ( [Broken Link Removed] ) at work. Works for the same things I need TV for and much cheaper. Teamviewer is a good app, but I am aware it will be at good speed. Anyhow thanks for sharing the great ideas on TV 7. TeamViewer will always be my choice! I like the fact that it has an Android app which is very useful if I want to control my laptop with TeamViewer also installed. I like teamviewer but I prefer logmein due to no security code on every log in. As Jeff mentioned, it doesn't exactly sound safe. Are there any security features at all for logmein? I have used many screen sharing web apps, but TeamViewer works great. #PersonalExperience.